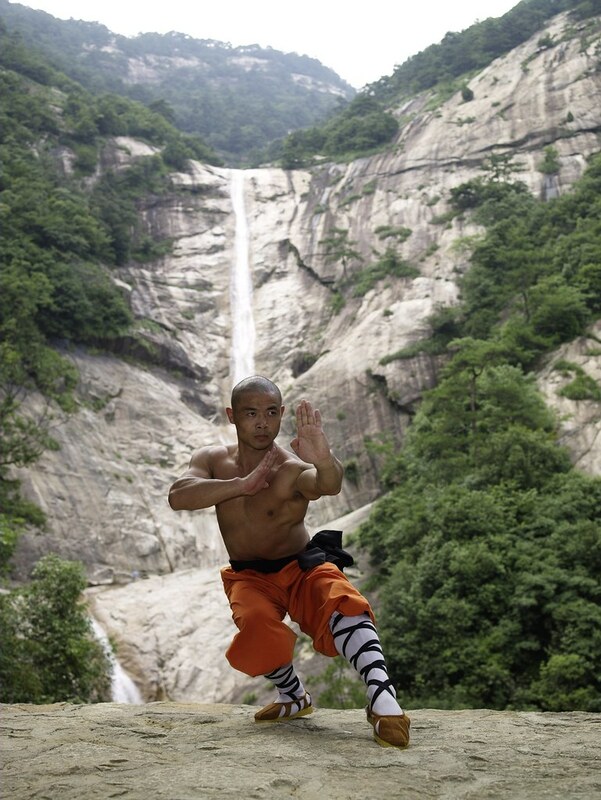 I've used the Shaolin Warrior Workout volume 1 for just over a month now, and I have to say that it's a lot of fun. It's similar to kickboxing in the sense of utilising body strength, body weight training and cardio all at the same time, but it's to a more extreme level. In kickboxing you don't engage your legs as much, but in this workout they're constantly engaged in the different stances - so it's great for toning your thighs and glutes. But more than that, after a month my legs feel so much stronger. I had trouble holding the poses initially, but now I can hold them all comfortably for a couple of minutes each, except gong bu on my left side - for some reason my left quadricep muscle isn't as strong as my right, but I've noticed this before. But, in contrast, my left leg is far better at balancing than my right. As with the Irish Stepdancing workout I did back in May, I worked through one section at a time until I was confident enough with it to move on. I think I spent about half an hour a day for two days learning the stances alone - that's just the first 3 minutes of one section repeated 10 times. When I was comfortable with that I moved onto the punches, and while I pulled my triceps the first few times, that's no longer an issue either. One thing that became clear very quickly was that, as a beginner, keeping up with body movement or punches was just not possible. You had to build up to that, but after just 10 days of use I was, rather surprisingly, able to keep up with all of the punches while maintaining form, and was able to get 8 body movement reps into the 10 counts - this isn't something that can be rushed. As with every other exercise in the world, you're better off going slow and at your own pace until you're comfortable and confident enough with the movements to speed up, otherwise you risk injury. I admit that I never managed to finish the DVD. I only began the 'kicks' section a couple of days ago and they're surprisingly challenging. I will be returning to the DVD at some point soon, however, as I am very keen not just to finish it, but also to be able to move onto volume 2 and eventually volume 3. Like the kickboxing I did in August, I came out of this feeling really toned, really fit and really tight, and I love it. I had immense fun while doing it, too, which is so important with exercise - a boring workout you can't get enthusiastic about will lead you to slack or give up entirely, which is, in part, why I made this new year's resolution. I can also say that Shifu Yan Lei's English became easier to understand with frequent use and very quickly stopped being a problem. The demonstrations he gives are perfectly simple to understand, and it takes very little to follow him. The only thing that truly challenges you is the ability to hold the movements and execute them properly, which is entirely a muscular thing rather than the ability to follow or understand. I really love the qi gong at the end. It's mostly just breathing, but it's surprising how refreshed it makes you feel when you end your workout with it! So no, it's not the easiest workout in the sense of flexibility and strength, but these are things that you build up while doing it. I had a headstart from months of yoga and strength training, and previous experience with kickboxing, so that certainly helped, but you need no previous experience with martial arts to be able to do this, which admittedly was a concern of mine despite Amazon reviews. It's a great toning and cardio workout, though, so it really does tick all the boxes, as well as being quite empowering, and that's a factor that gets me excited to workout as well. I had a really great month doing this and I'm looking forward to returning to it, too, but I'm also confident that volume 2 and volume 3 will be amazing when I'm eventually confident enough to move onto them. I have both of them waiting to be opened, and while I'm certain that I have the capacity to do them, I'm not so sure it'll be all that soon from now. I don't know what kind of leap there is between beginner and intermediate, but I don't expect it to be miniscule, especially when you see what these monks are capable of doing through their training - I also don't expect to learn even half of that, even from the advanced/volume 3 DVD, but either way, its contents will be undoubtedly challenging.